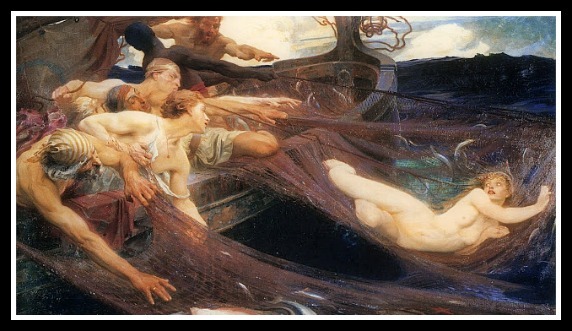 “Odysseus and the Sirens” by Herbert James Draper, (1909). 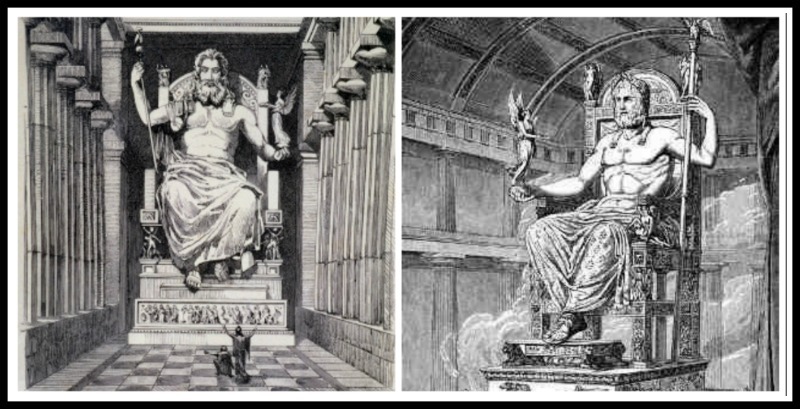 They parents were River Achelous and the Muse Melpomene (Pseudo-Apollodorus). 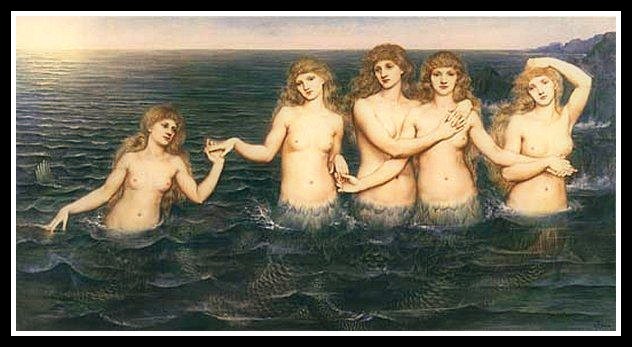 For Euripides, they were virgin daughters of Gaia (the Earth). Their number is variously reported as between two and five. 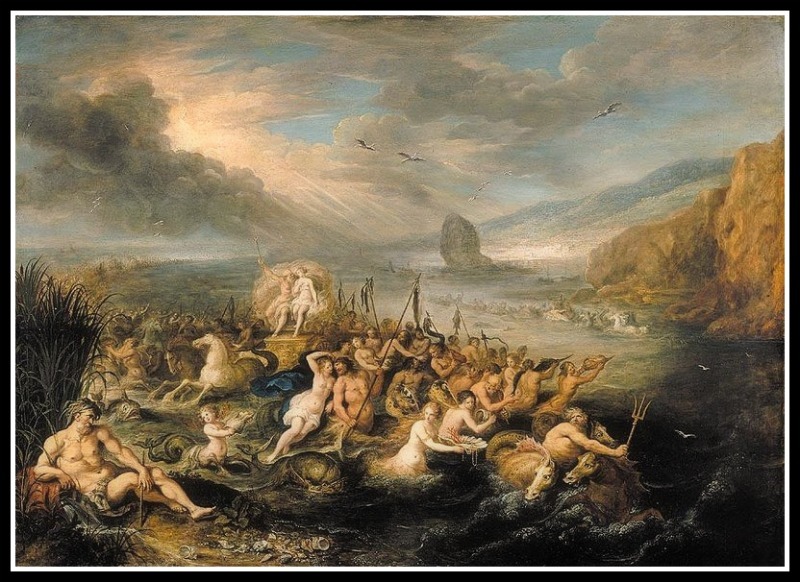 In the “Odyssey”, Homer says nothing of their origin or names, but gives the number of the Sirens as two on an island in the western sea between Aeaea and the rocks of Scylla. 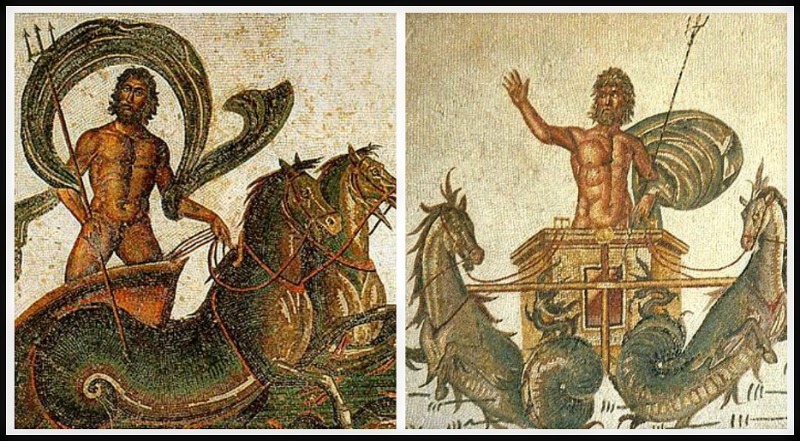 Hesiod says that they were three and that their names were Thelxiope or Thelxinoe, Molpe and Aglaophonos. 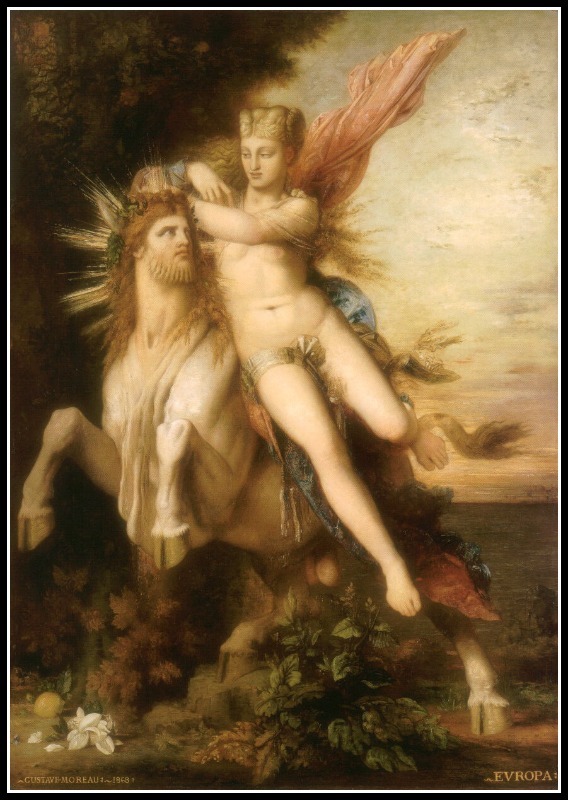 They are mantic creatures like the Sphinx with whom they have much in common, as they also were believed to combine women and birds in various ways. 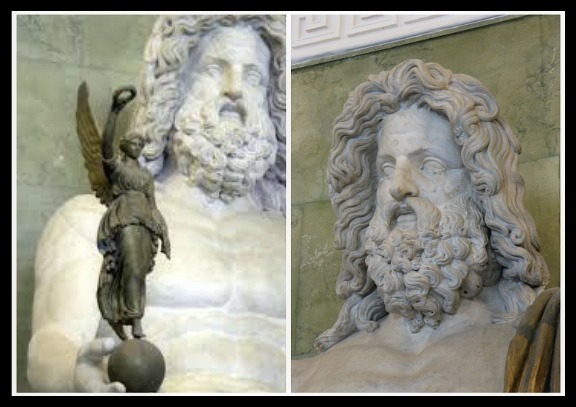 In early Greek art, Sirens were represented as birds with large women’s heads, and bird feathers. Later, they were represented as female figures with the legs of birds, usually playing musical instruments, especially harps. 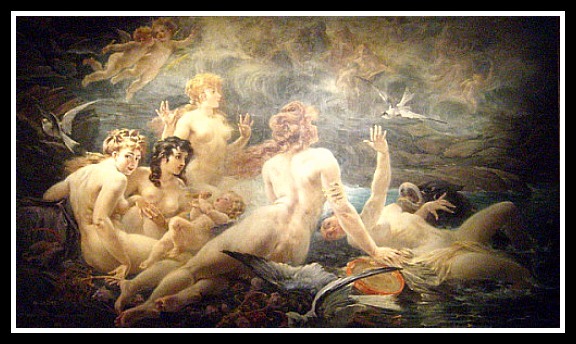 Pausanias in his book “Description of Greece” makes reference to a contest between the sirens and the muses. 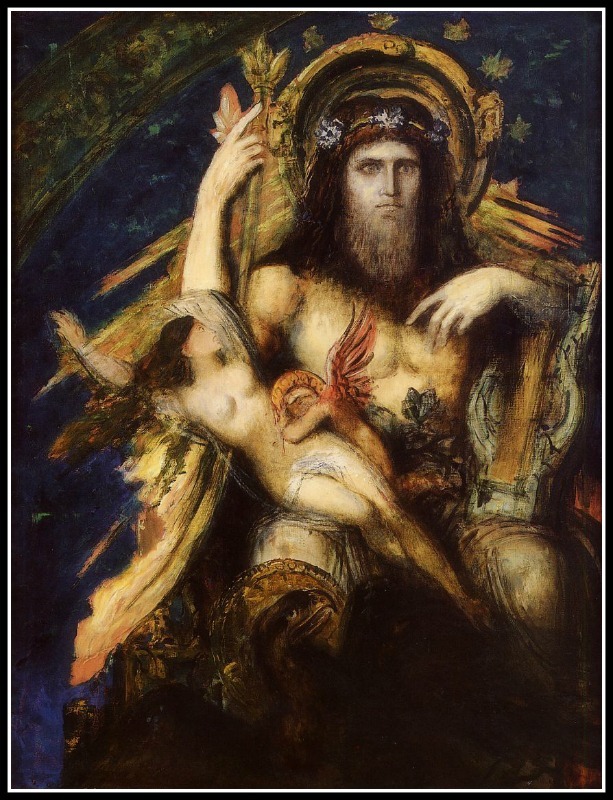 He states that the Muses won, plucked out the Sirens’ feathers and made crowns for themselves out of them. 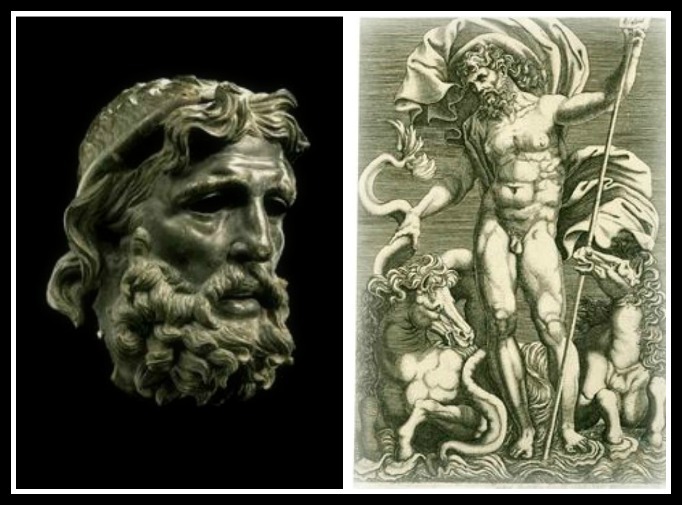 →The Sirens are also connected with the legends of the abduction of Persephone, with the story of the Argonauts and with Homer´s “Odyssey”. 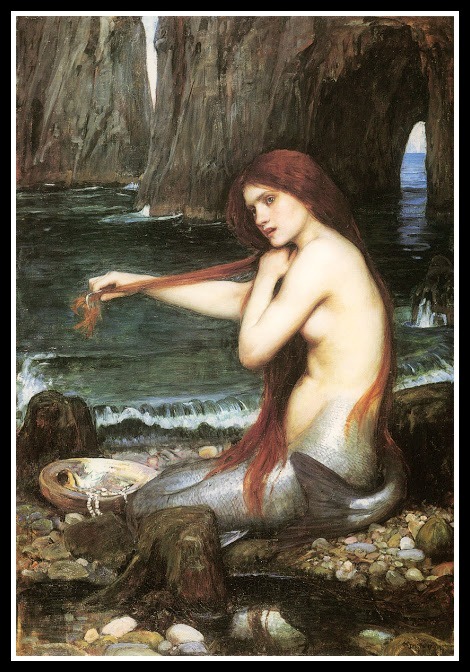 •According to Ovid (“Metamorphoses” V, 551),they were formerly handmaidens of Persephone. When the goddess was secretly abducted by Hades, Demeter gave the sirens the bodies of birds, and sent them to assist Demeter in the search of her daughter. 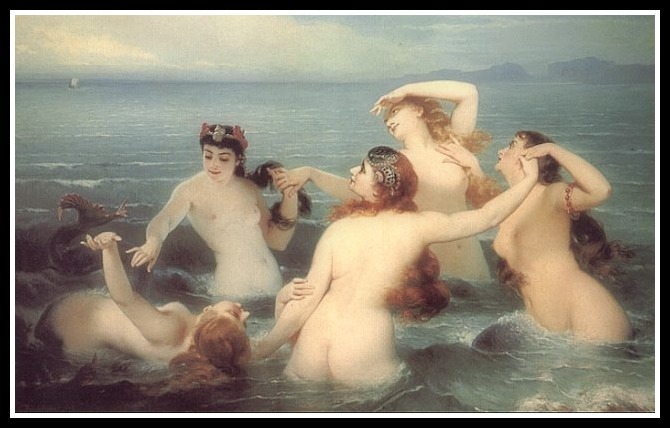 This version explains why the Sirens were called “the Muses of the Lower world”. They eventually gave up and settled on the flowery island of Anthemoessa. 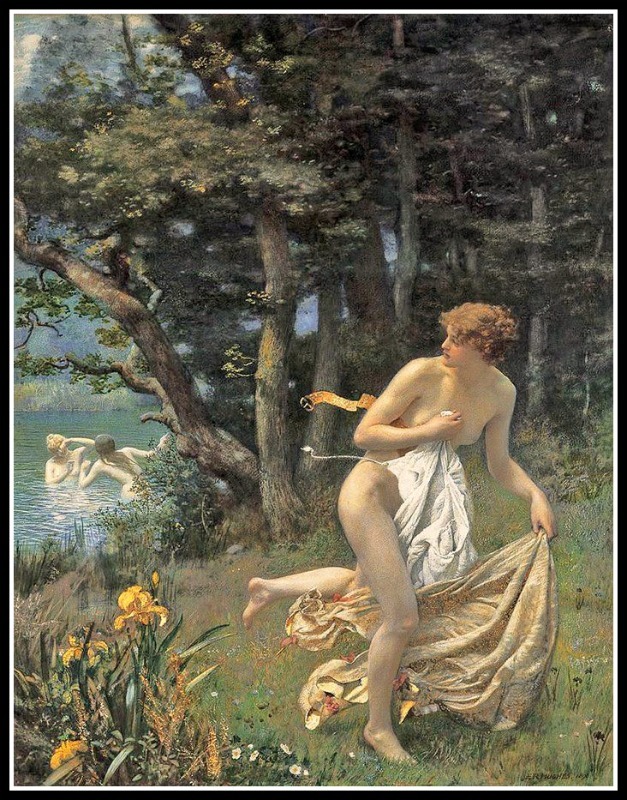 In some versions, Demeter turned them into birds to punish them for not guarding Persephone. 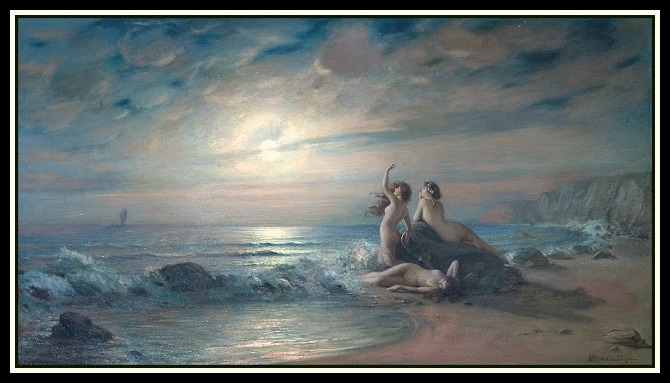 •When the Argonauts passed by the Sirens, the latter began to sing, but in vain, for Orpheus rivalled and surpassed them ; and as it had been decreed that they should live only till some one hearing their song should pass by unmoved, they threw themselves into the sea, and were metamorphosed into rocks. 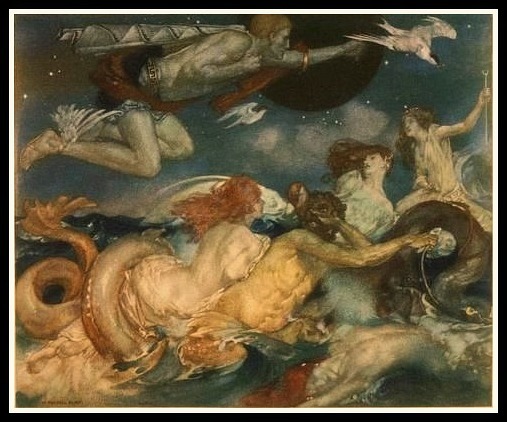 The Sirens were later encountered by the Argonauts who passed by unharmed with the help of Orpheus, the poet drowing out their music with his song. 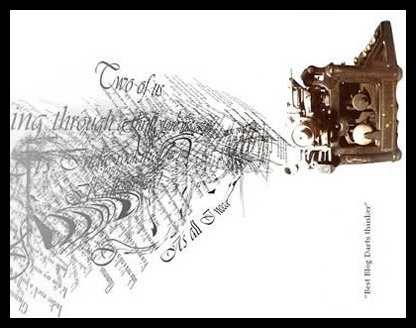 The sound of their songs was once thought to be a reason for sailors meeting disaster, as their haunting voice was heard coming from the waves forecasting bad weather. 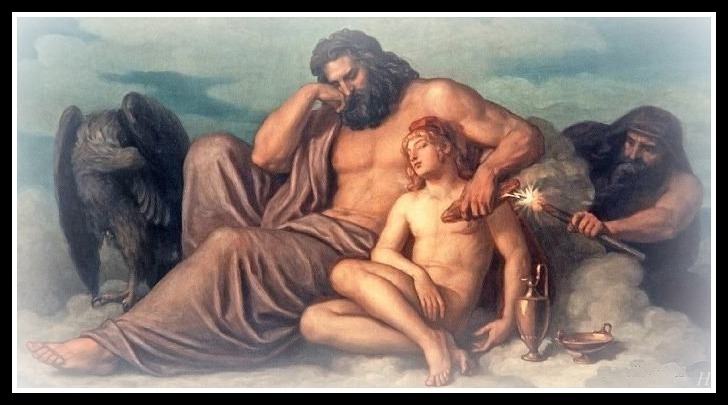 •In Homer’s Odyssey, Book XII, Odysseus, escaped the danger of their song by stopping the ears of his crew with wax so that they were deaf to the Sirens. 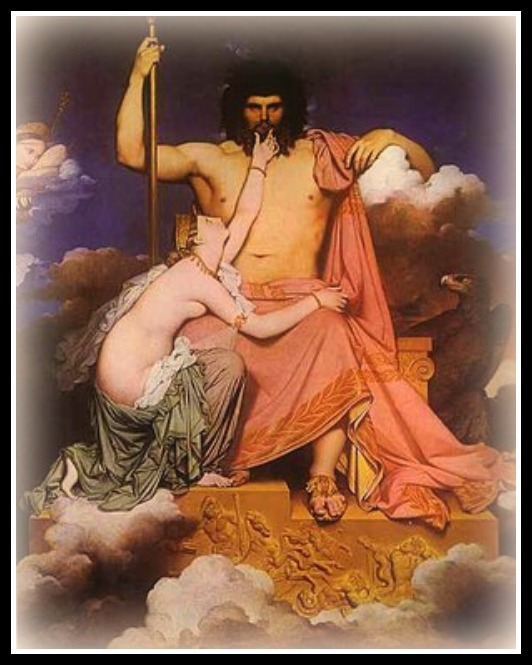 Odysseus himself wanted to hear their song but had himself tied to the mast so that he would not be able to steer the ship off its course. “Once he hears to his heart’s content, sails on, a wiser man. 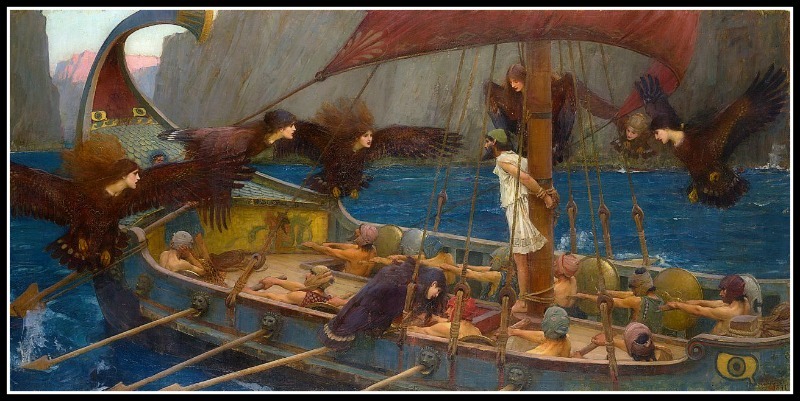 “Odysseus and the Sirens” by John William Waterhouse (1891). Bird-Siren playing the di-aulos. Paestan Red Figure. 350- 340 B.C. Würzburg, Martin von Wagner Museum . Detail of decorative Seiren on the side of the vase. Apulian Red Figure. 350 – 340 BC. The J. Paul Getty Museum. USA. 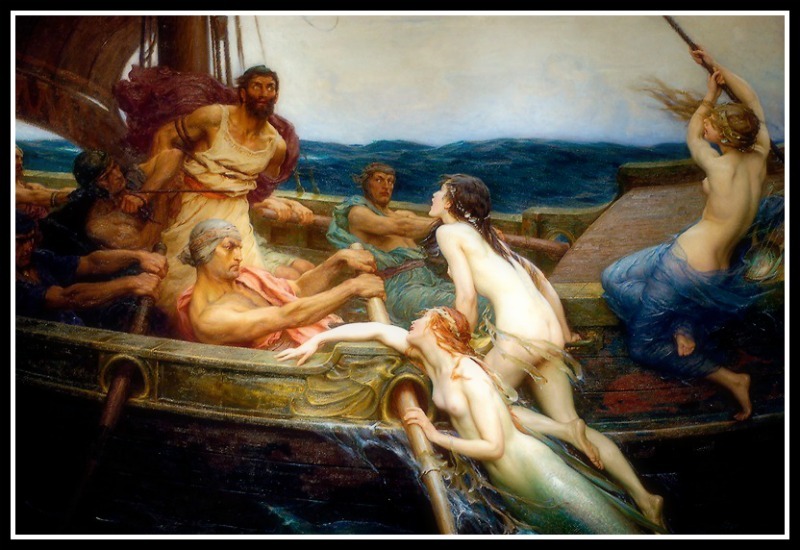 Odysseus and the Sirens. Paestan Red Figure. 340 B.C. Antikenmuseen, Berlin, Germany. Detail of a Siren playing castanet. Paestan Red Figure. 340 B.C. Antikenmuseen, Berlin, Germany. 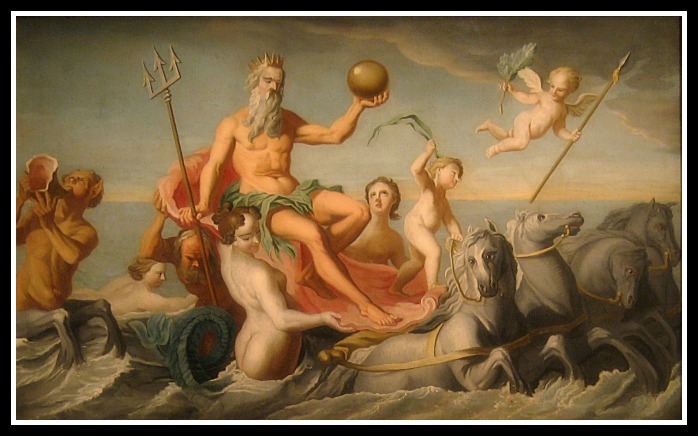 Odysseus and the Sirens. Attic Black Figure. 525 – 475 B.C. Callimanopoulos,NYC, USA. 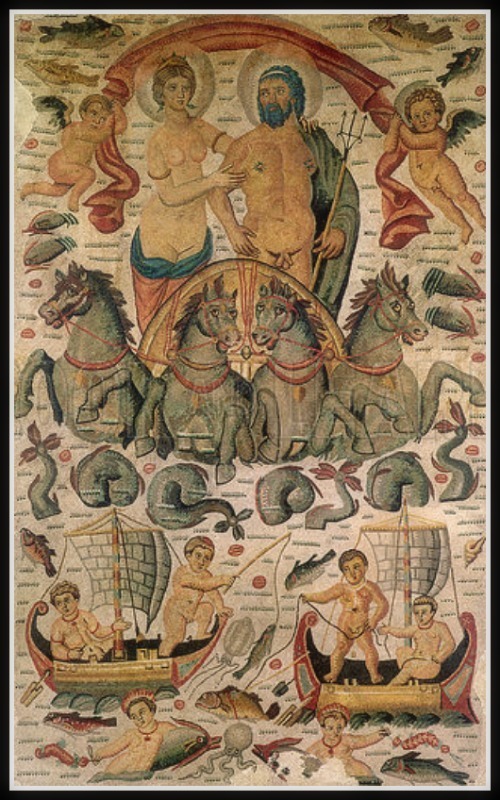 Odysseus and the Sirens. Attic Red Figure. 500 – 480 B.C. British Museum, London. UK. 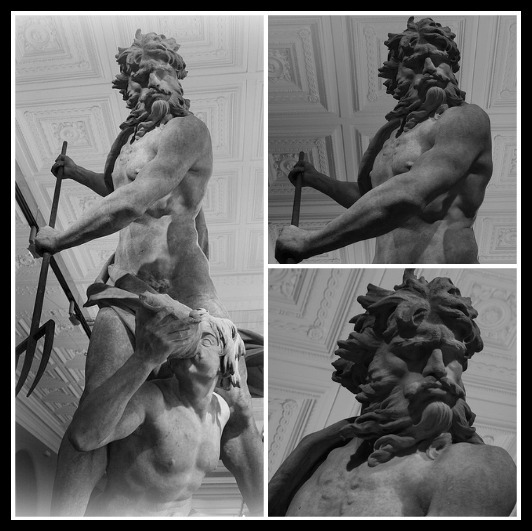 Odysseus and the Sirens. Attic Black Figure . 520 B.C . Antikensammlun, Berlin, Germany. 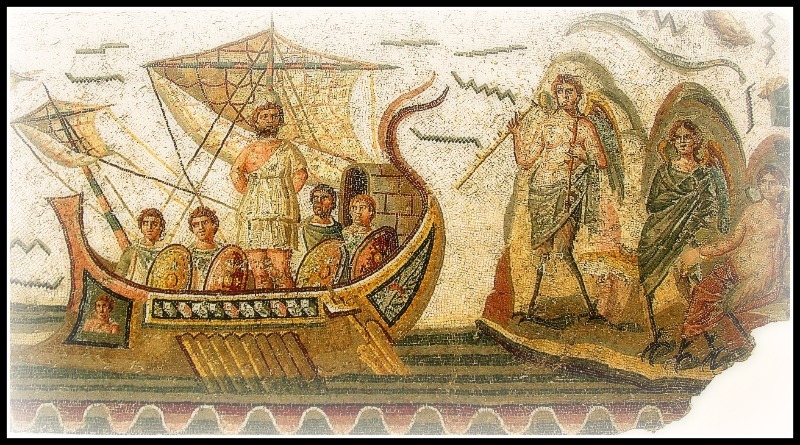 Roman mosaic: “Odysseus and the Sirens” at the Bardo Museum in Tunis, Tunisia. 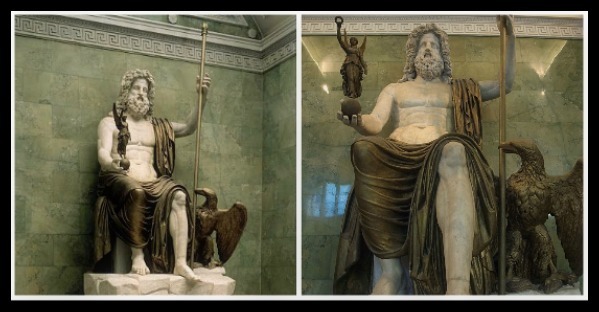 2nd century B.C. 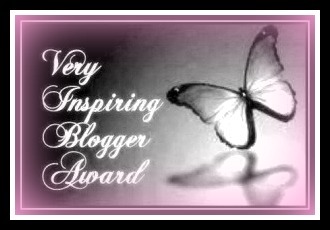 I) I want to thank Micheline from Micheline´s Blog for nominating me for a Very Inspiring Blogger Award. 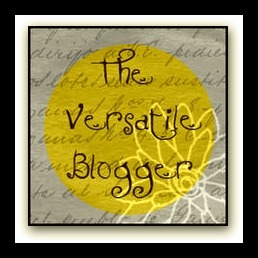 Please make sure to visit her blog as it is erudite and informative. A real a treat to the mind!. 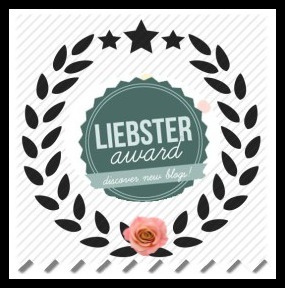 II) Secondly, I also want to thank Becker A. Fernández from Mis Poemas for nominating me for a Liebster Award. 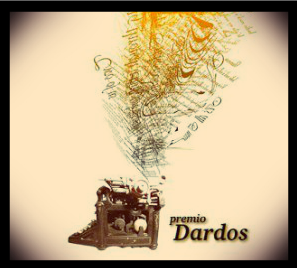 Check out his blog… You’ll find impressive poems in spanish which you may enjoy as much as I do. 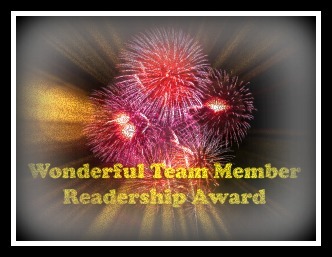 III) Finally, I particularly want to thank Sue Dreamwalker from Dreamwalker’s Sanctuary for nominating me for an awesome and beautiful award named Hearts As One~ Dreamwalker’s Drum Beat Award. 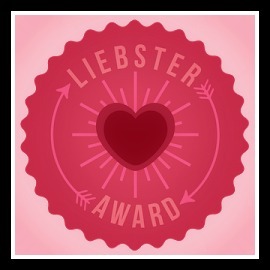 This award was created by Sue herself and therefore has a powerful meaning. You can check out the meaning of the totem animals on the award here. 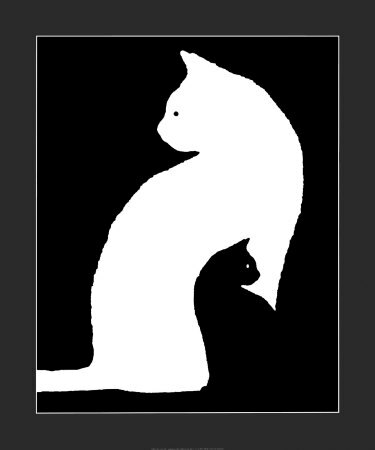 Please make sure to visit Sue Dreamwalker’s Sanctuary, a great blog in which you may find inpiration and wise messages!. 3) The nominee has to answer these seven (7) questions. 1. Who is your favorite public figure?. Pope Francis. 2. What do you like most?. Too many things… Don’t get me started!. 4. What do you do when someone gets angry?. I get angrier?… Or just try to be rational. 6. Do you have causes?. Yes, Humanity in general. Justice and Peace are my consequences, though. 7. What quality do you admire most?. Intelligence… But also Beauty. 1. Let the Images Speak 2. Venomous Scribbles 3. 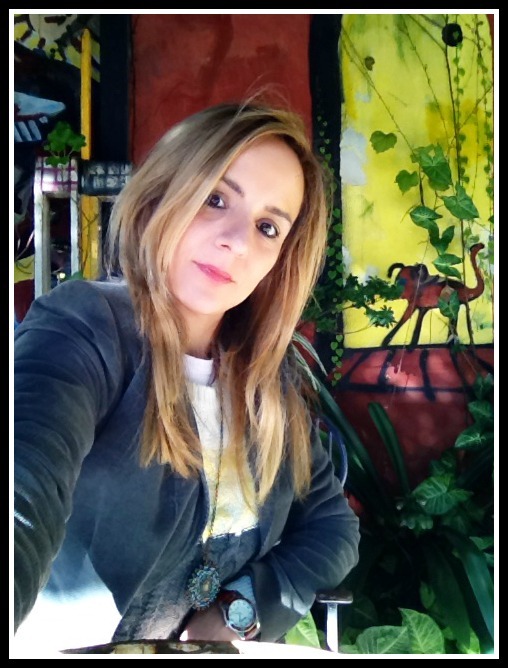 Truel´s Blog 4. Poetic Parfait 5. Anettes Garten 6. Margaret Lynette Sharp 7. Mis Poemas 8. 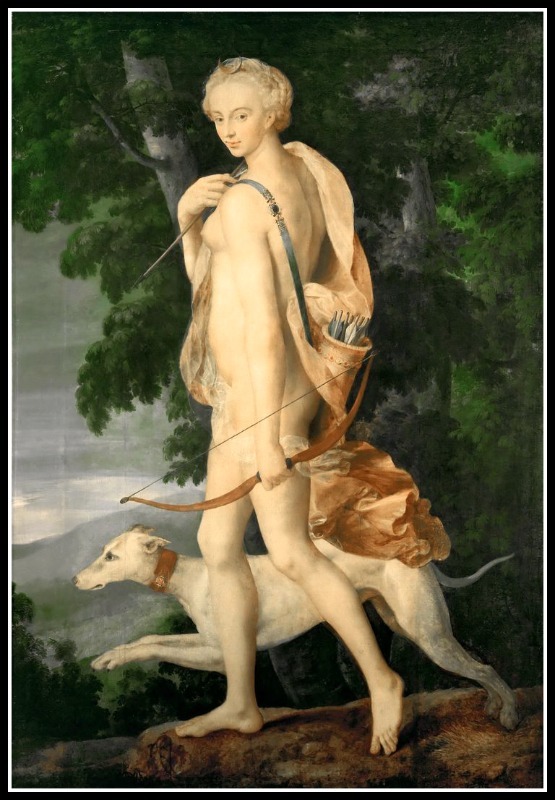 Biobioncino´s Blog 9. Goal Habits 10. Edge of Humanity. 11. Karen’s Nature Art 12. Words that flow like water 13. Soul Healing Art 14. Tales of a North Shore Princess 15. Love and biscuits blog. 1. The Last Half... 2. Stelle Lontane 3. Dreamwalker’s Sanctuary 4. Poesie Visuelle 5. UpChucking Words 6. Impresii din călătorie 7. Henry West 8. 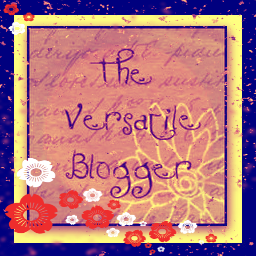 Micheline’s Blog 9. Gypsy in Jeans 10. Papillon 1961. 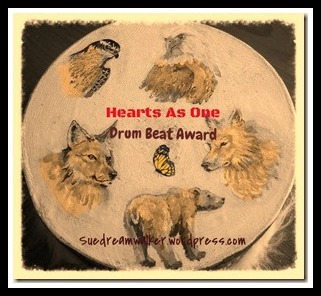 Hearts As One~ Dreamwalker’s Drum Beat Award. 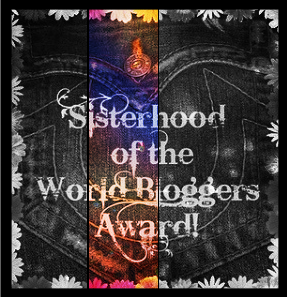 In Sue’s words: “This is an award to pass along to bloggers who are sharing posts which are helping show our empathy, Love and Kindness, or who Highlight injustice who beat their own Drum to bring awareness to the world”. 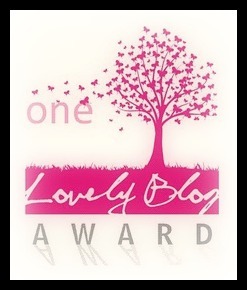 I’ll then nominate ten (bloggers) which I believe follow these special requirements. 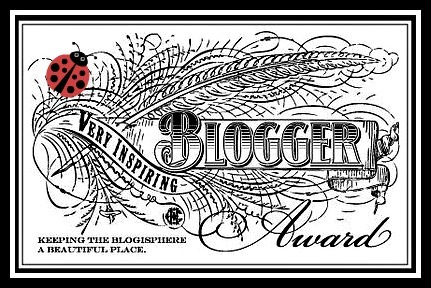 1) The nominee will have to nominate ten (10) bloggers under the same terms. 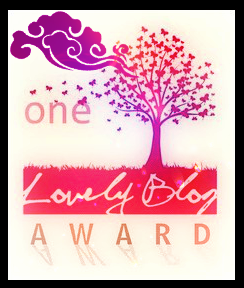 2) The nominee shall display the award’s logo on her/his blog and link to the blogger that has nominated her/him. 1. JeriWB, Author and Editor 2. D. G Kaye Writer 3. Shehanne Moore 4. Kone, Krusos, Kronos 5. En Humor Arte 6. Blue Butterflies and Me 7. Inesemjphotography 8. 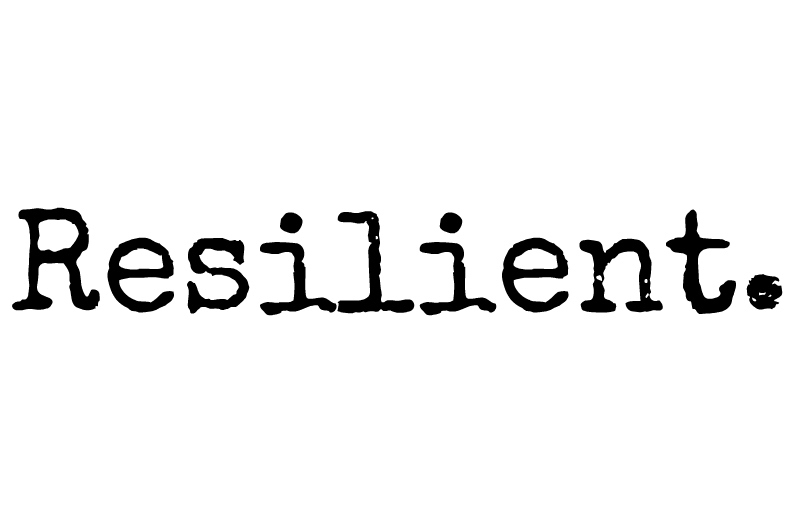 Kev’s Blog 9. Petals Unfolding 10. Elizabeth Melton Parsons.